I’ve had quite a lot of facials in my life living back in Ukraine, haven’t had one in NYC till now though. There’s a couple of reasons for that. First, my skin is totally fine, I don’t feel like it needs some extra procedures on a regular basis. I am really satisfied with how my skin looks like with current home routines. Second, I had no idea where to go and was lazy even to start looking)) And third, it’s pretty pricey. Yep, spa procedures don’t come cheap in NYC. But after reading a lot of good reviews about Rescue Spa in skincare community I finally gave in and made an appointment, after all, I’m a girl and love a good ”me” time. Can I say right away it was as freaking amazing as I expected, probably even better! My esthetician Julia was very attentive and knowledgeable, she listened to all my concerns, ramblings about my routines, patiently answered million and one questions I had and was a total saint. It was nice to hear that I’m being on right track with my skincare and just need to keep going in that direction. She only suggested to keep an eye on nourishing and treat my skin more as my cheeks were a bit on a dry side, but in winter it’s a common problem for me with all the cold and heating. For my first visit to Rescue Spa, I chose Bio-Lift Facial. Don’t know why but I was under impression that facial is gonna be done by Biologique Recherche products only. 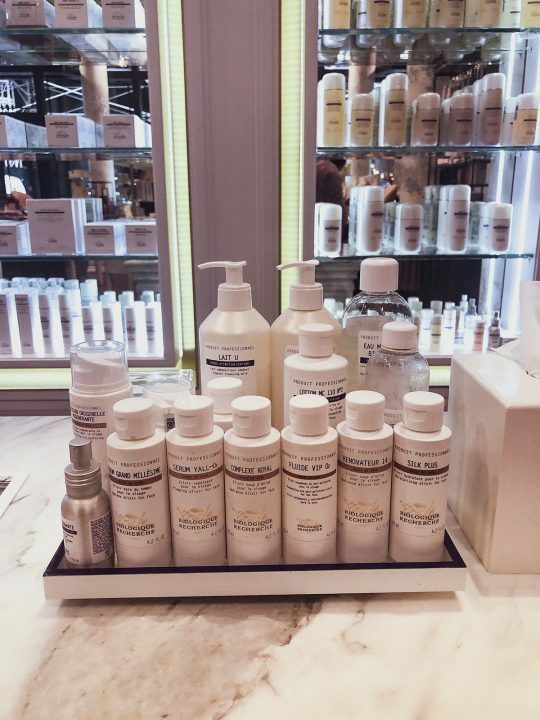 However, in Rescue Spa, they actually use a combination of brands and products based on what your skin needs. In my case, Julia also used Valmont and Environ skincare. 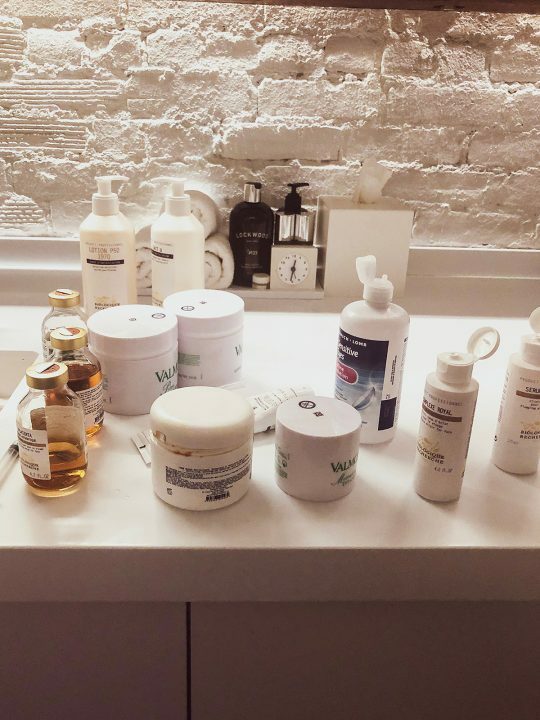 She didn’t skip the ‘Holy Grail’ P50 lotion of course and used a lot of Biologique Recherche serums. 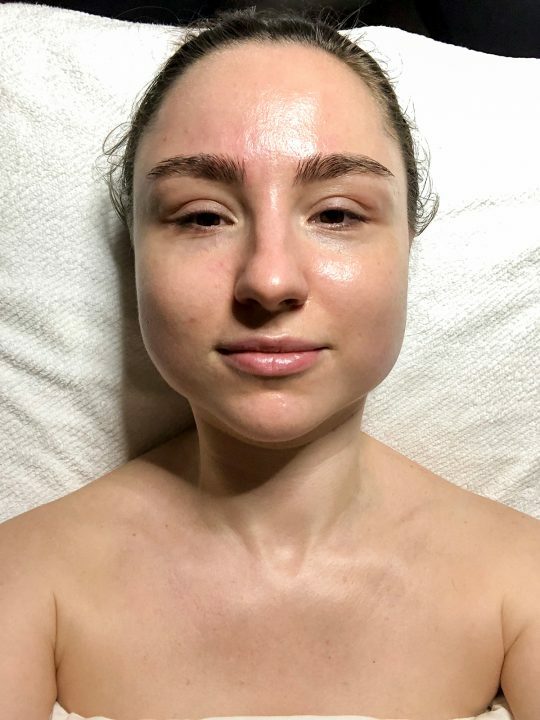 After the most relaxing facial with massage, warm towels, lots of treatments and then more massage it was time for microcurrent Biolift treatment. This part was less pleasant but so effective! I could see results immediately and on the next day, I looked even better. I have a slightly hooded lid and for the first time I’ve seen my crease, that’s how impressive it was! Lift hold for maybe a week or so, not very long lasting but it showed me how beneficial microcurrent treatment can be and now I’m even more eager to buy Nuface device. HERE I’M ALWAYS WELCOMED WITH A SMILE FROM KNOWLEDGABLE STAFF THAT IS VERY GENEROUS ON SAMPLES IF YOU ASK FOR THEM. If I could I would’ve been visiting Rescue Spa every week for facials and massage. Just to have that “me” hour that makes me feel like a princess. 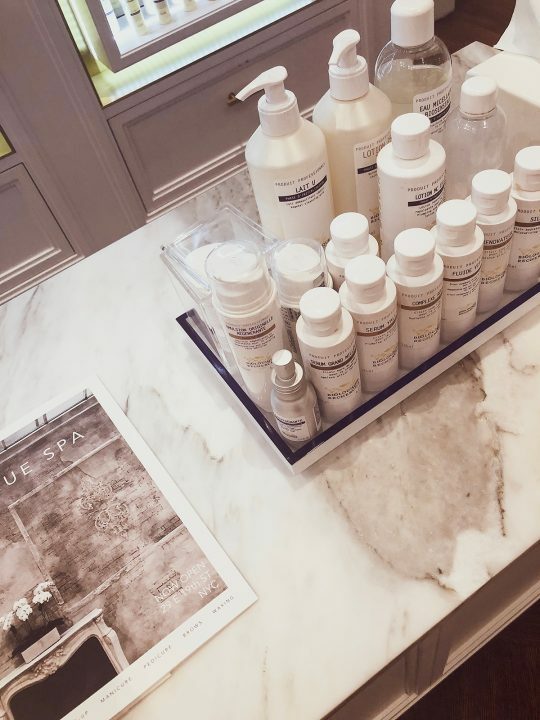 Dreams aside, Rescue Spa is a real gem not only to get a perfect facial but also to stock up on fancy skincare, candles and accessories. Here I’m always welcomed with a smile from knowledgable staff that is very generous on samples if you ask for them. Also, I can’t finish this review without mentioning that Rescue Spa has damn good brow specialists. I’m currently seeing Ashley and so far very satisfied with what she does with my brows.